The technology rich world in which we find ourselves completely supports mobile work. Should we elect or be asked to do so, the infrastructure exists to allow us to be productive from nearly anywhere in the world. This is a very powerful fact that will continue to have a profound impact on the space business as generations of digital natives hit the workforce. Cloud-based storage, ubiquitous Wi-Fi, and highly capable mobile devices are the latest technological advances that continue to support — and even demand — mobility. These innovations have altered the foundation from which we work and, more fundamentally, how we interact with both each other and the world around us. It has created a world of untethered workers, people who do not have to be anywhere in particular to perform the basic function of their job. And while completely office-less companies and organizations now exist, it is simply not a broadly acceptable model for the future because place matters, a lot. First, places provide access to other people, a fact that has become increasingly valuable in the mobile world. Technology will be hard pressed to create a purely digital environment that can help develop relationships and foster proper human interaction. Yahoo! recently announced it’s putting its work-from-home program to bed, citing, among others things, the value of “impromptu meetings,” “cafeteria discussions,” and “meeting new people.” This may seem to be a startling move, especially for a web company, and Yahoo! CEO, Marissa Mayer, has been chastised by many for this decision. But regardless of where it takes the company, she has simply realized how important place is to Yahoo!’s business. Mayer has identified a competitive disadvantage in not having her people engaged with one another on a regular basis in the physical world. This is not to say that a zero-tolerance policy on remote work is a great idea (I think it’s not), and perhaps her delivery was a bit harsh. But the important takeaway for the rest of us is that working from home was ineffective for this company by virtue of its stark opposition to their mission. They need people to innovate, and that happens more effectively in the real world. There are ways to give employees choices that don’t leave them completely isolated. In this case, the pendulum had simply swung too far. Conversely, the solution is not necessarily to allow your people to work from home or remotely, either. The market is realizing that real estate doesn’t have to be viewed as an expense that grows or shrinks, but rather a tool to help your business excel. The key is to understand the needs of your organization and simply make sure that the spaces you have access to support your mission. Keep in mind that people are mobile, and typically they like being that way – it’s the future. The challenge for companies is finding an effective way to give people the freedom and choice to work elsewhere when appropriate without losing the ability to communicate a shared vision. This need has led growth of what is commonly referred to as the “third-place.” It’s neither home nor office. Walk into any coffee shop and you will find dozens of people doing real work for real companies with real revenues. Recently, successful coworking spaces around the globe have demonstrated the value of community and interaction, but they are just the beginning of a massive evolution in workspace products. In this untethered world, we need choice in where and how we work, but the “where” still matters. Spaces must be designed with the end-user in mind, but be flexible enough to change as the needs of a business do. The future of space utilization lies in properly identifying fixed space needs from variable ones — and then having the ability to scale up and scale down quickly without massive penalty or headache. Whether you are an independent worker, newly minted entrepreneur, second-career boomer, or a corporation looking to right-size, productivity is not relegated to a seat behind a desk or one on the couch. Place matters. 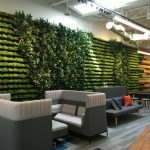 In the near future, there will be many new options for workspace that are custom designed for targeted groups of individuals in local communities around the country. We are in the midst of a shift in work, and the workplace is just starting to change. Previous articleBehind the Curtain: Cox Designs for its Tech Dept.